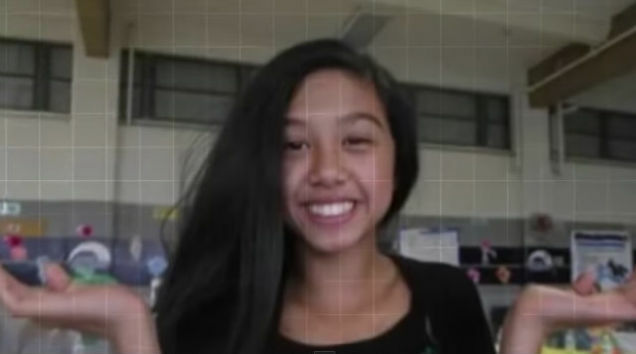 Izabel Laxamana, a 13-year-old girl in Tacoma, Washington died by suicide after jumping off a highway overpass on Friday, May 29. Days before, Laxamana’s father Jeff had reportedly punished her for an unspecified transgression by cutting off her hair and uploading a video to YouTube. There’s now a controversy brewing online and among the girl’s friends and family over whether the video caused her death. Tacoma’s News Tribune reports that the girl, who they don’t identify by name, exited a car andjumped off a bridge onto Interstate 5. She was taken to a Seattle hospital, where she died on Saturday. Friends of the Laxamana family are now raising money for funeral costs on a GoFundMe site. The video opens with a shot of a short-haired girl in a black t-shirt staring blankly at the camera, in what appears to be a garage. “A lot,” she replies, barely audibly. Public shaming is a form of abuse. There are those who will say that it teaches a lesson. So does punching someone in the face. That doesn’t make it okay to do to your children. My thoughts are with this young girl. I hope that she gets the help she needs. I also hope her father gets the help he so clearly needs and that her family can heal from these traumatic events brought on by public shaming. The blog’s author, John Cameron, added in an update that he’d closed the comments section “due to multiple requests from family members of the victim.” A Facebook page called Justice for Izabel is filled with calls for her father to be criminally prosecuted or else publicly shamed himself. I feel hated most of the time im in school i feel looked down on and i get judged alot…. But what keeps me going is people like kian who have gone through the same thing as me… In a school with so many people its weird to say “i feel alone” but the truth is that you really do feel alone. So thanks for everything kian….